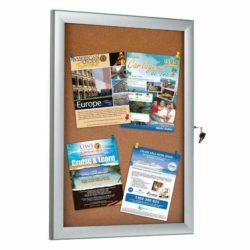 This cork bulletin board stand has a lockable door that keeps your posters safe and protcts in high traffic environments. Also, the lock is hidden at the rear to eliminate any distraction that prevents people focus on nothing but posters. 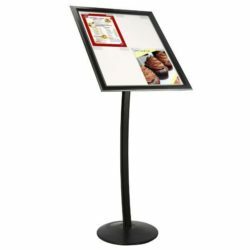 Black heavy base brings the stability to the product while the black curved post gives this outdoor cork board stand a stylish look. 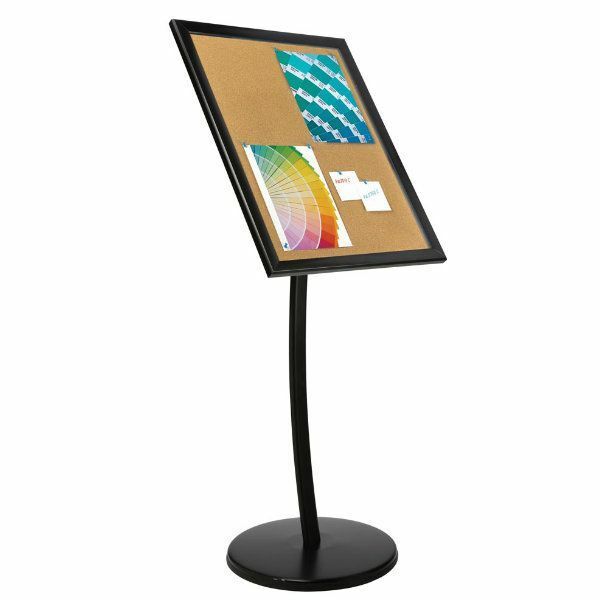 The black aluminum frame of this corkboard stand also contributes to stylishness with its 1″ slim sides. The lockable frame can be positioned as portrait of landscape for your custom prints. 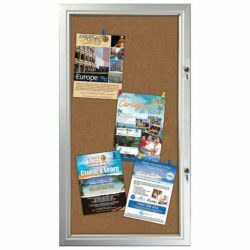 And in both positions the corkboard can house four 8.5″ x 11″ letter size posters at the same time. 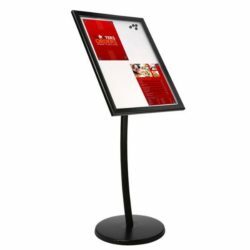 Pins, all required mounting parts and an instruction sheet is sent along with the product. 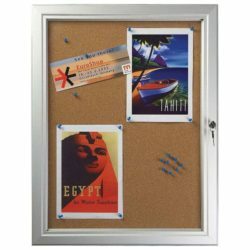 This cork bulletin board stand is for both outdoors and indoors.